What stops you from receiving blessings from Jesus? He desires to fill all your needs but He won't force anything on you. 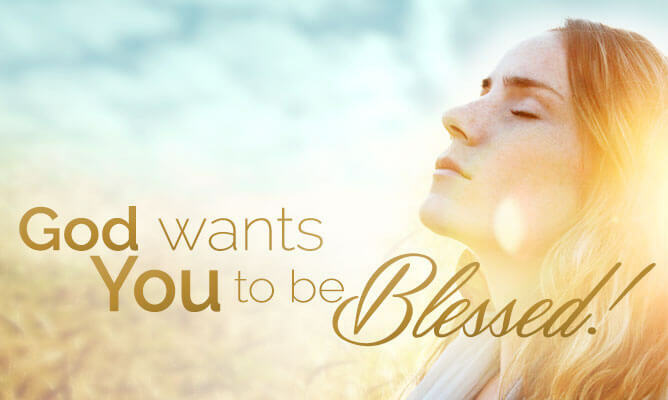 You must be willing to receive blessings. A prime example of people not receiving what Jesus desired to give them is found in the Gospel of Mark. Jesus had returned to Nazareth and went to the synagogue to teach. Those who heard what He had to say were astonished because He taught something new and exciting. They had heard of the miraculous things Jesus had done for others but their reaction was skepticism. "Is not this the carpenter, the son of Mary, the brother of James, and Joses, and of Juda, and Simon? and are not his sisters here with us? And they were offended at him." Mark 6:3. The word "offended" comes from the Greek word skandalizo...they were scandalized! Can you blame them? After all they knew He was Mary's son. You know, Mary...the one who was pregnant before she was married. Their offense to this is understandable, but misplaced. They were very close to the situation and thought they knew facts, but they were blind to the truth. They only paid attention to the gossip. Their presuppositions hindered the blessings that Jesus wanted to give them. This wasn't the first time Jesus' credentials had been questioned. John the Baptist had many followers and he sent two of them to ask if Jesus was the longed for Messiah or if they should look for someone else. Instead of just saying yes, Jesus gave them evidence. "Jesus answered and said unto them, Go and shew John again those things which ye do hear and see: the blind receive their sight, and the lame walk, the lepers are cleansed, and the deaf hear, the dead are raised up, and the poor have the gospel preached to them. And blessed is he, whosoever shall not be offended in me." Matthew 11:4-6. All of the miraculous things Jesus had done for the people was evidence that He was the Messiah. The Pharisees should have recognized Him, but they chose blind ignorance. Some of the people who received healing understood who He was, but the people in His home town were offended by Him. Jesus wanted to bless the hometown crowd as he had blessed others but instead they hindered those blessings by holding on to the gossip and ignoring the truth. "But Jesus said unto them, A prophet is not without honour, but in his own country, and among his own kin, and in his own house." Mark 6:4. In other words, they didn't receive the blessings that others received because they saw Him as just a carpenter and they were familiar with His human family. Jesus was fully human, but He was also fully God in the flesh and they needed to meet that side of Him. Jesus could have forced them to receive the blessings He wanted to give them, but He won't force anyone to take anything they don't want. "And he could there do no mighty work, save that he laid his hands upon a few sick folk, and healed them. And he marvelled because of their unbelief. And he went round about the villages, teaching." Mark 6:5-6. What Jesus offered wasn't the "name it and claim it" heresy that we hear about today. He wasn't there to give them more wealth, more status, or more material gain. He wanted to give them healing and truth that would lead to eternal life. They thought they knew Him too well to believe He had anything to give them. Are we like them? Do we know Him too well to believe He has blessings for us? We hinder His work in us and through us if we take Him for granted. I've noticed that many people who've been raised in Christian homes and have always done their devotional reading and have habitually listened to tired old sermons miss out on blessings because they don't recognize what Jesus wants to give. When people who've lead sinful lives and have come from very secular childhoods finally meet Jesus, they're the ones who seem more willing to accept His blessings and are more apt to boldly witness to others and enthusiastically serve Him. "There was a certain creditor which had two debtors: the one owed five hundred pence, and the other fifty. And when they had nothing to pay, he frankly forgave them both. Tell me therefore, which of them will love him the most?" Luke 7:41-42. Jesus gave this example to Simon the Pharisee during a dinner gathering. A sinful woman had entered uninvited and began to worship Jesus. The "holier than thou" Pharisee was offended that she was there, but Jesus forgave her sins. "Wherefore I say unto thee, Her sins, which are many, are forgiven; for she loved much: but to whom little is forgiven, the same loveth little." Luke 7:47. Brothers and sisters, we need to understand that Jesus has forgiven all of us a plethora of sins. We need to love Him more. Jesus traveled a lot and everywhere He went crowds gathered. When He came to Capernaum the people were excited that He was there. As always He drew crowds of people who wanted to hear Him and ask for healing. One such man was ill with palsy and was bedridden. He had four friends who were willing to carry him and his bed to the house where Jesus was, but the crowds made it impossible for them to enter. The friends wanted this man to receive the blessing of healing and they did nothing to hinder the blessing. They hoisted him and his cot up to the roof, pulled off the tiles, and lowered their friend down to Jesus. "When Jesus saw their faith, he said unto the sick of the palsy, Son, thy sins be forgiven thee." Mark 2:5. Wouldn't it have been wonderful if the people from Jesus' home town had accepted the blessings He wanted to give them? There would have been more than just a few people there who were healed. Capernaum is about 40 miles from Nazareth and the people in Nazareth should have heard about the happenings in Capernaum. Still, they hindered the blessings that Jesus desired to give them. There were many people who were willing to accept healing from Jesus and therefore His blessings. When Jesus was on His way to Jerusalem He passed through a village and encountered ten lepers. If a person contracted leprosy they were doomed. They were outcasts who would never again be allowed to mingle with healthy people. Their skin would rot and fingers and toes would fall off. They could never hug their children, enjoy friendships, or worship in the synagogue. Leprosy was not and is not curable. They grouped together and stayed away from healthy people. When these ten met Jesus they stood far off "And they lifted up their voices, and said, Jesus, Master, have mercy on us." Luke 17:13. They weren't offended by Him but they cried out for mercy. They needed healing and knew that this Man could help them. Jesus didn't make a big deal of healing them. He just told them to go and show themselves to the priests. "...And it came to pass, that, as they went, they were cleansed." Luke 17:14b. Can you imagine their joy? Can you imagine their gratitude? Well, that's something else we need to remember. First, don't be offended by Jesus, and second be grateful. "And one of them, when he saw that he was healed, turned back, and with a loud voice glorified God, And fell down on his face at his feet, giving him thanks: and he was a Samaritan." Luke 17:15-16. Ten lepers, some Jewish some Samaritan, but only one said thank You and worshipped Him. Brothers and sisters, always remember to give thanks. Don't confuse the blessings Jesus wants to give with having no trouble in life. Too often we think that when we come to Jesus our troubles are all behind us and life is a breeze. Think about this. The lepers had been quarantined from society. They couldn't earn money through holding a job so food and clothing were hard to come by. After receiving healing from Jesus they had to earn their own living. They could now reenter society and be responsible for their own needs but they first had to get past the stigma of what they had been. They had to allow people to see how Jesus had changed them. The situation of every person who received healing was changed and they had to move away from taking handouts to earning their own way. It's the same today. Jesus changes us we need to move from what we were, following the way of the world, to living out our Christian walk. "Know ye not that the unrighteous shall not inherit the kingdom of God? Be not deceived: neither fornicators, nor idolaters, nor adulterers, nor effeminate, nor abusers of themselves with mankind, nor thieves, nor covetous, nor drunkards, nor revilers, nor extortioners, shall inherit the kingdom of God. And such were some of you: but ye are washed, but ye are sanctified, but ye are justified in the name of the Lord Jesus, and by the Spirit of our God." 1 Corinthians 6:9-11. When you receive the blessing of eternal life from Jesus, you've been changed. Now, allow those changes to rule your life. You were once blind to Him but now your eyes have been opened. Jesus didn't withhold His blessings from anyone who would accept them. Demons were cast out of people, blind men received sight, lame men walked, and people were raised from the dead. Each of us needs to examine where we are in our relationship with Jesus. He still desires to bless us today. Does He offend you? Are you ashamed of Him? If so you're hindering the many blessings He wants to give you. What do you seek? Riches? A bigger house? A faster car? These aren't needs, but wants. Jesus will meet your needs but your wants are the things that cause you stress and unhappiness. "But seek ye first the kingdom of God, and his righteousness; and all these things shall be added unto you." Matthew 6:33. If you've placed your faith in Him for salvation then He's already given you eternal life. Now, look for ways to serve Him. Look for ways to use His gifts to bless others. Don't be offended by Him but seek Him every day. Don't hinder His blessings by taking them for granted. Whether you're a new Christian or one who has been a part of the family for years, don't be offended by Him but remember the joy of your salvation. In my last message we dealt with how Paul, who was transformed from Saul the persecutor of those who followed Jesus Christ, called the Way (before they were called Christians at Antioch), into Paul the Apostle to the Gentiles after being met on the road to Damascus by the risen Lord Jesus Christ. Let us go further in the revealed mysteries or “secrets” that our Jesus Christ revealed to Paul and to him alone for the edification of this present day Church. We further proclaim that Paul alone was given the “mystery” of the body of Christ by the risen Lord, when He taught Paul that that each member of the Church is equal, whether Jew or Gentile. The Body of Christ is One Body of which we are all a part of. We are all equal, but have different roles to play, just as an eye, or an ear, or a hand and foot each have different roles to play in the human body and each are necessary and vital to the health and well being of that human body, such are each of the Body of Christ. “For even as the body is one and yet has many members, and all the members of the body, though they are many, are one body, so also is Christ” (1 Corinthians 12.12). This concept was not preached by any of the Twelve Apostles, as it was given to Paul alone. 13 “But now in Christ Jesus you who formerly were far off have been brought near by the blood of Christ. 16 and might reconcile them both in one body to God through the cross, by it having put to death the enmity. 18 for through Him we both have our access in one Spirit to the Father. Becoming a member of the body of Christ, the Church, is through the baptism of the Holy Spirit. This is not a sensory experience. It occurs when one believes the gospel and accepts Jesus as Lord of their life . 12 “For even as the body is one and yet has many members, and all the members of the body, though they are many, are one body, so also is Christ. 13 For by one Spirit we were all baptized into one body, whether Jews or Greeks, whether slaves or free, and we were all made to drink of one Spirit” (1 Corinthians 12.12-13). We learn from Paul alone that Christ is the Head of the Body, which is the Living Church of God (Ephesians 1.22; 4.15;5.23; Colossians 1.18; 2.19). 17 And if children, then heirs; heirs of God, and joint-heirs with Christ; if so be that we suffer with him, that we may be also glorified together. (Romans 8:15-17). A joint-heir enjoys a different kind of relationship than a subject to a king. A joint-heir is one who shares everything belonging to the heir. This is grace! We know this from Paul alone for it, again, was a secret Paul received from the risen Lord. Notice the relationship in the above verses? Yes, Jesus is the King of kings, and Lord of lords (Revelation 19) but to the born again believer, He is the head of the Body of all believers. We are heirs and joint heirs with Jesus Christ, as we will share, as part of His Body, all the riches and glory He is right now, we will be. To me, just to imagine, which I can't fully, the ramifications of what this passage in Romans means, makes my head spin and my imaginations cannot fully comprehend. From Paul alone we learn that the believer in the body of Christ has a heavenly position and heavenly citizenship. Peter and the Twelve looked forward to an earthly position, not a heavenly one. The Jew knew nothing of heavenly blessing. He looked forward to the kingdom on earth. 9 “And the LORD will be king over all the earth; in that day the LORD will be the only one, and His name the only One. 10 All the land will be changed into a plain from Geba to Rimmon south of Jerusalem; but Jerusalem will rise and remain on its site from Benjamin’s Gate as far as the place of the First Gate to the Corner Gate, and from the Tower of Hananel to the king’s wine presses. 11 People will live in it, and there will no longer be a curse, for Jerusalem will dwell in security”(Zechariah 14.9-11 cf. Zechariah 8.2-3; Daniel 7.14, 27). 9 “Pray, then, in this way: ‘Our Father who is in heaven, Hallowed be Your name. 10 ‘Your kingdom come. Your will be done, on earth as it is in heaven. 11 ‘Give us this day our daily bread. 12 ‘And forgive us our debts, as we also have forgiven our debtors. 13 ‘And do not lead us into temptation, but deliver us from evil. For Yours is the kingdom and the power and the glory forever. Amen’” (Matthew 6.9-13). Is anything heavenly here? Jesus told his disciples to pray for God’s kingdom to come on earth and for His will to be done on earth. Jesus knew His Old Testament. He knew He would reign as David’s greater Son (Luke 1.32). Jesus Christ will usher in His Kingdom on earth and will rule it with a rod of iron. This will most likely be the population restored during the Millennium of those of Jewish ancestry, with few Gentiles. 21 who will transform the body of our humble state into conformity with the body of His glory, by the exertion of the power that He has even to subject all things to Himself” (Philippians 3.20-21). 1 “For we know that if the earthly tent which is our house is torn down, we have a building from God (our new spiritual bodies), a house not made with hands, eternal in the heavens. Are you ready for your change, your citizenship found in heaven as the heir and joint-heir with Jesus Christ, our Lord? 20 and through Him to reconcile all things to Himself, having made peace through the blood of His cross; through Him, I say,whether things on earth or things in heaven” (Colossians 1.19-20). Are you in the will of God? Have you found my Jesus? Paul revealed through revelation from Jesus Christ, that the Christian operates under grace, not under the Law. 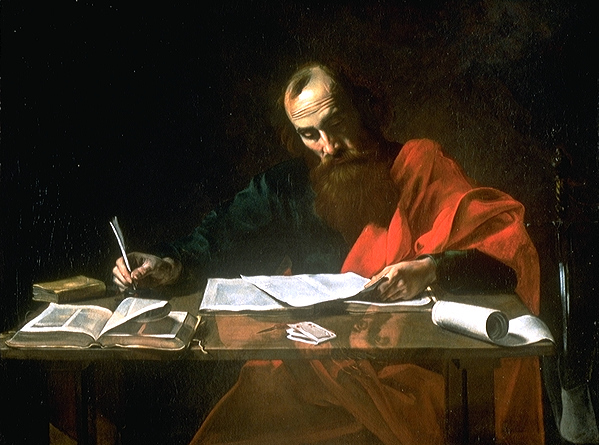 Paul began every epistle with the salutations that spoke of the grace of God. This was a totally newly revealed relationship that was revealed by Paul, through Jesus Christ who taught him. 6' Being confident of this very thing, that he which hath begun a good work in you will perform it until the day of Jesus Christ:”(Philippians 1.6). Paul was the epitome of God's grace when as Saul, he terrorized the followers of Jesus Christ. God did not destroy Saul, He saved him by revealing Himself to Saul. From the point on, Saul became Paul the Apostle, a most zealous follower of His risen Lord and Savior. In the Pauline epistles, Paul uses the word “Grace”χάρις (in Greek) appears 156 times in 147 verses in the New Testament. Paul’s usage accounts for 103 verses (70%). Paul was alone when he revealed to the fledging Church that we are saved by grace, and not under the Law. He revealed that man was justified by grace through faith, and not of any works that we could do. This was not revealed to Peter or any of the other apostles, but was learned from Paul. Peter helped Paul when addressing the Jerusalem Council on these questions of following the Law of Moses as a requirement for salvation. He revealed Christ is the end or goal (τέλος) of the Mosaic Law. 4 “For Christ is the end of the law for righteousness to every one that believeth. 5 For Moses describeth the righteousness which is of the law, That the man which doeth those things shall live by them. (Romans 10.4). No other writer of Scripture revealed these things. They are all part of the “secret” the ascended Lord revealed to the great apostle. Have you embraced that free gift of grace and mercy found in Jesus? THE SECRET OF THE IDENTIFICATION WITH CHRIST. All who believe the gospel have been identified with Christ. 3 “Or do you not know that all of us who have been baptized into Christ Jesus have been baptized into His death? 9 knowing that Christ, having been raised from the dead, is never to die again; death no longer is master over Him” (Romans 6.3-9). When a person believes the message that the Apostle Paul preached according to the revelation given to him by Jesus Christ, then he is baptized into the body of Christ. Paul spoke of being “buried” with Christ, which is what baptism symbolizes. We become a new creature in Christ Jesus, Behold all things have become new. We are not, (or should not) be the same person we were. We seek after God, searching and living His righteousness, found in the life lived by our example, Jesus Christ. It is a lifelong endeavor in the School of God's Holy Spirit which the Bible calls “sanctification”. 10 “For the death that He died, He died to sin once for all; but the life that He lives, He lives to God. 14 For sin shall not be master over you, for you are not under law but under grace” (Romans 6.10-14 cf. 8.1-39). Since we have been buried with Christ in Baptism, we are dead to sin, and the Holy Spirit gives us the power to overcome our tendency to sin. It won't come all at once, as we will continue to slip up, and when we do, we ask for forgiveness in repentance of our sinful nature that reared it's ugly head and He forgives us, as a faithful Father and author of our salvation can only do. 14 having canceled out the certificate of debt consisting of decrees against us, which was hostile to us; and He has taken it out of the way, having nailed it to the cross.”(Colossians 2:10-14). This was the work of our Lord Jesus, to take away the penalty of transgressing the law, as no one can keep the law perfectly, save our Lord Jesus. But through His death, He nailed that death sentence to His cross, as His blood washes us clean of all of our sins, past, present and future. 4 who opposes and exalts himself above every so-called god or object of worship, so that he takes his seat in the temple of God, displaying himself as being God. 5 Do you not remember that while I was still with you, I was telling you these things? 6 And you know what restrains him now, so that in his time he will be revealed. 7 For the mystery [secret] of lawlessness is already at work; only he who now restrains will do so until he is taken out of the way. 12 in order that they all may be judged who did not believe the truth, but took pleasure in wickedness.” (2 Thessalonians 2.3-12). This messages reveals the “secrets” the mysteries of the love of God toward us, but this last subject deals with what we are experiencing right now in this lawlessness that has so filled our land, our courts, our halls of justice, and invading every home that does not profess Jesus Christ as Savior. The personification of this “secret” is the “lawless one”, (ἄνομος) the one who will be empowered by Satan, the Antichrist. John wrote about this individual in Revelation as did Daniel yet much is unknown about how he will come to power and operate. Therefore, a secret. What Paul revealed was what restrains (κατέχω) or holds back this individual. In verse 7 of the above passage, Paul reveals that there is a power that prevents the full onslaught of lawlessness and the revealing of the Anti-Christ. This power is believed by many, including myself, that this is the work of God's Holy Spirit that is residing in every born again believer's heart and will not be revealed (the Anti-Christ) until the Holy Spirit is removed back to pre-Pentecostal times of the fullness received. Since God said that He would never leave or forsake us and would be with us, till the end of the age, then we who have God's Holy Spirit within our spirits as a deposit of a future glorification, then when God's Holy Spirit is drawn back, so will the Church of every born again believer. The Holy Spirit will still be at work, as the scriptures surely show, but the restraint will be removed and Satan and his minions working through mankind in rebellion led by this Son of Destruction, the Anti-Christ will have full power to overcome all who remain on this earth and cause those who live to take a mark of loyalty and a sign of worship into their forehead and their right hand or be subject to martyrdom. Remember in Part 1 of this message, I emphasized that the monster called the Anti-Christ will not be revealed until the church “is caught up” to heaven. As I mentioned, one of Paul’s purposes for writing the Thessalonians was to correct a claim from a purported letter from him that they were experiencing the Day of the Lord since they were being persecuted. Paul wrote to assure them this was not the case. He declared that before that can occur the body of Christ must be removed. When that occurs God’s retraining power will be removed and Satan will be free to bring his man to power. Many will die, or take a mark that will damn them to a devil's hell. WHAT WILL YOU DO WITH THE SECRETS SPOKEN OF? When we started looking at these “secrets” given to Paul, we spoke that these revelations were given to Paul when translated into the third heaven and heard with his ear and saw with his own eyes, what God had prepared for those who love Him. These truths were given to Paul to be given to the churches in Asia and to us, the end time Church, to which the scriptures were written primarily for. Paul referred to these revelations as “secrets” for God had revealed none of these things to the prophets. Jesus had not revealed these truths in His earthly ministry or to the Twelve Apostles. From Paul alone do we learn the truths of Christianity: about Christ’s work of our salvation, our sanctification, our rescue from a Christ-rejecting world, and our destiny. My reader, I have witnessed to you the Mysteries or “secrets” of God in two parts that were revealed by revelation through God Almighty, our Lord and Savior Jesus Christ, to Paul the Apostle who started the Church of the Gentiles....of which you and I belong to in some fashion, or maybe you don't embrace anything of a religion, as men have given religion a bad name. There I have to agree with you. Our God is not about man's attempt at religion, but wants a relationship with those who are His. Religion is man's attempt to get to God, and Jesus is God's attempt to reach mankind. As men have perverted the Gospel, the perfect Word of God for their own power and glory. In the end, to them it's all about money. But all human beings that have a computer, or social media know about the most famous person who ever lived, Jesus Christ. Even YOU! But make no mistake about one thing, even though men have perverted the Gospel and you have bought into their lawlessness and careless handling of the things of God, when it comes down to everything being revealed, the only thing that will stand undefiled and forever Holy, is God through Jesus Christ our Lord. The road to hell is paved with people, men and women who look to other fallible men and women as their example, and when they fail, as they always do, then they reject Christianity because of these “religious” teachers. There is only One clear example that anyone should follow. Jesus is our example and it is Jesus who died for your sins, no one else. When you were born, you were born for one reason and one reason only: “What will you do or not do when it comes to the Man/God known as Jesus Christ, the Son of the Living God? ?” There stands Jesus with His arms outstretched beckoning for you to come to Him. He knocks at each of our heart's door asking to be given entrance into your life. What will your answer be? “For God so loved the world, that He gave His only Begotten Son, that whosoever believeth in Him, should not perish, but have everlasting life. 17 God sent not His Son into the world to condemn the world, but that the world through Him, might be saved. I proclaim to you without shame of the Gospel that Jesus Christ is Lord, and Savior of a man or woman's soul. I preach Jesus Christ and Him crucified, that lived, died, and rose again on the third day and lives forevermore...and is coming again...SOON. Today is the day of salvation, for you are not promised tomorrow. Do not neglect so great a salvation, as when Jesus does finally come back and you have not made that decision for Christ, then be in fear, my friend. Be in great fear. “25 See to it that you do not refuse Him who is speaking. For if those did not escape when they refused him who warned them on earth, much less will we escape who turn away from Him who warns from heaven. 27This expression, “Yet once more,” denotes the removing of those things which can be shaken, as of created things, so that those things which cannot be shaken may remain. Are you waiting for God's redemption of your soul, or are you blinded and waiting for His righteous wrath? Don't let this opportunity pass you by..Believe in the Lord Jesus Christ, and thou shalt be save...BEHOLD, I have told you secrets from the apostle Paul and God's Holy Spirit. Believe these secrets for the salvation of your soul. This is Pastor Mike Taylor, praying for you to accept the only payment for sin and your salvation, Jesus Christ, our Lord. If you need help, counseling, prayer, or just a friendly, listening ear, drop me a line to realteam1999@sbcglobal.net, or visit me online for more biblical lessons from the Word of God at www.pastormiketaylor.blogspot.com, . God bless you all.